Are you thinking of becoming a professional in the world of scuba diving? Then the PADI Divemaster is your first step. This course will give you all the diving knowledge, skills and attitudes required to become a Divemaster and will develop your leadership abilities in order to guide divers safely. In addition you will learn how to assist instructors during courses which will give you lot of experience when you become one yourself. Here at Blue Island Divers you will get top quality instruction which will prove to be very important in your career both as a Divemaster and Instructor. You will learn how to assist divers on dive boats, guide divers under supervision and experience everything a Divemaster has to deal with all on a daily basis. 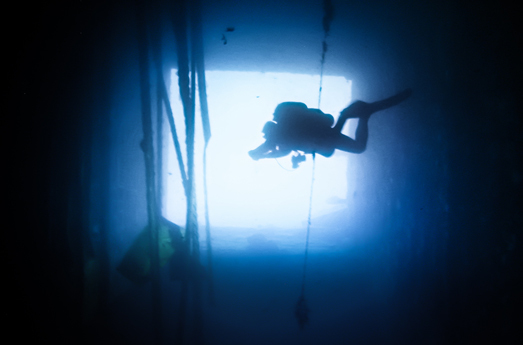 At the end of the course you will need to have competed a minimum of 60 dives for the certification. Requirements: Rescue diver and 40 dives. Cost includes: Dive equipment rental and use of course materials.